Chaac (spelled variously Chac, Chaak, or Chaakh; and referred to in scholarly texts as God B) is the name of the rain god in the Maya religion. As with many Mesoamerican cultures that based their living on rain-dependent agriculture, the ancient Maya felt a particular devotion for the deities controlling rain. Rain gods or rain-related deities were worshiped beginning in very ancient times and were known under many names among different Mesoamerican people. For example, the Mesoamerican rain god was known as Cocijo by the Late Formative period Zapotec of the Oaxaca Valley, as Tlaloc by the Late Postclassic Aztec people in Central Mexico; and of course as Chaac among the ancient Maya. Chaac was the Maya god of rain, lightning, and storms. He is often represented holding jade axes and snakes that he uses to throw at the clouds to produce rain. His actions assured the growth of maize and other crops in general as well as maintaining the natural cycles of life. Natural events of different intensities from the vivifying rain and wet season storms, to the more dangerous and destructive hailstorms and hurricanes, were considered manifestations of the god. For the ancient Maya, the rain god had a particularly strong relationship with rulers, because—at least for the earlier periods of Maya history—rulers were considered rainmakers, and in later periods, were thought able to communicate and intercede with the gods. The alter-egos of Maya shamans and rulers roles often overlapped, especially in the Preclassic period. The pre-classic shaman-rulers were said to be able to reach the inaccessible places where the rain gods dwelled, and intercede with them for the people. These deities were believed to live on the tops of mountains and in high forests which were often hidden by clouds. These were the places where, in the rainy seasons, the clouds were hit by Chaac and his helpers and the rains were announced by thunder and lightning. Collectively, these were called the Chaacs or Chaacob or Chaacs (plural for Chaac) and they were worshiped as deities themselves in many parts of the Maya area, especially in Yucatán. In a "burner" ritual reported in the Dresden and Madrid codexes and said to be conducted to ensure copious rains, the four Chaacs had different roles: one takes the fire, one begins the fire, one gives scope to the fire, and one puts out the fire. When the fire was lit, hearts of sacrificial animals were cast into it and the four Chaac priests poured jugs of water to put out the flames. This Chaac ritual was performed twice each year, once in the dry season, once in the wet. Even though Chaac is one of the most ancient of Maya deities, almost all of the known representations of the god are from the Classic and Postclassic periods (AD 200-1521). Most of the surviving images depicting the rain god are on Classic period painted vessels and Postclassic codexes. As with many Maya gods, Chaac is portrayed as a blend of human and animal characteristics. He has reptilian attributes and fish scales, a long curly nose, and a protruding lower lip. He holds the stone ax used to produce lightning and wears an elaborate headdress. 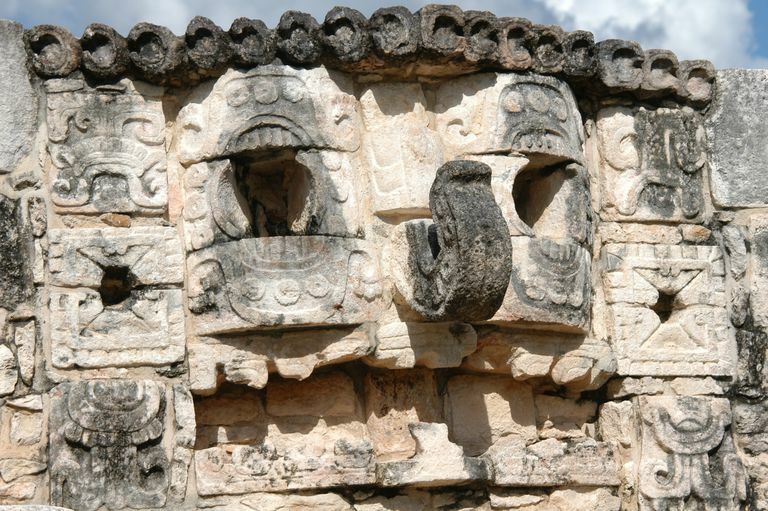 Chaac masks are found protruding from Maya architecture at many Terminal Classic period Maya sites such as Mayapán and Chichen Itza. Mayapán's ruins include the Hall of Chaac Masks (Building Q151), thought to have been commissioned by Chaac priests around AD 1300/1350. The earliest possible representation of a pre-classic Maya rain god Chaac recognized to date is carved into the face of Stela 1 at Izapa, and dated to the Terminal Preclassic Period about AD 200. Ceremonies in honor of the rain god were held in each Maya city and at different levels of society. Rituals to propitiate rain took place in the agricultural fields, as well as in more public settings such as plazas. Sacrifices of young boys and girls were carried out in especially dramatic periods, such as after a prolonged period of drought. In Yucatan, rituals asking for rains are documented for the Late Postclassic and Colonial periods. In the sacred cenote of Chichén Itzá, for example, people were thrown and left to drown there, accompanied by precious offerings of gold and jade. Evidence of other, less lavish ceremonies have also been documented by archaeologists in caves and karstic wells all over the Maya area. As part of the care of a cornfield, members of historic period Maya communities in the Yucatan peninsula today held rain ceremonies, in which all the local farmers participated. These ceremonies reference the chaacob, and the offerings included balche, or corn beer. Aveni AF. 2011. Maya Numerology. Cambridge Archaeological Journal 21(02):187-216.
de Orellana M, Suderman M, Maldonado Méndez Ó, Galavitz R, González Aktories S, Camacho Díaz G, Alegre González L, Hadatty Mora Y, Maldonado Núñez P, Castelli C et al. 2006. Rituals of Corn . Artes de México(78):65-80. Estrada-Belli F. 2006. Lightning Sky, Rain, and the Maize God: The Ideology of Preclassic Maya Rulers at Ancient Mesoamerica 17:57-78.Cival, Peten, Guatemala. Milbrath S, and Lope CP. 2009. Survival and revival of Terminal Classic traditions at Postclassic Mayapán. Latin American Antiquity 20(4):581-606. Miller M and Taube KA. 1993. The Gods and Symbols of Ancient Mexico and the Maya: An Illustrated Dictionary of Mesoamerican Religion. Thames and Hudson: London. Pérez de Heredia Puente EJ. 2008. Chen K’u: The Ceramic of the Sacred Cenote at Chichén Itzá. 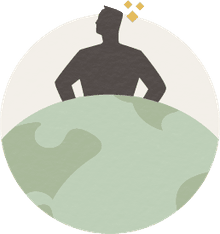 Foundation for the Advancement of Mesoamerican Studies, Inc. (FAMSI): Tulane, Louisiana. Sharer RJ and Traxler, LP. 2006. The Ancient Maya. Sixth Edition. Stanford University Press: Stanford, California.